While it seems likely that Brigham Young was initially lied to about the Mountain Meadows Massacre, at what point did he learn that Mormons were involved? 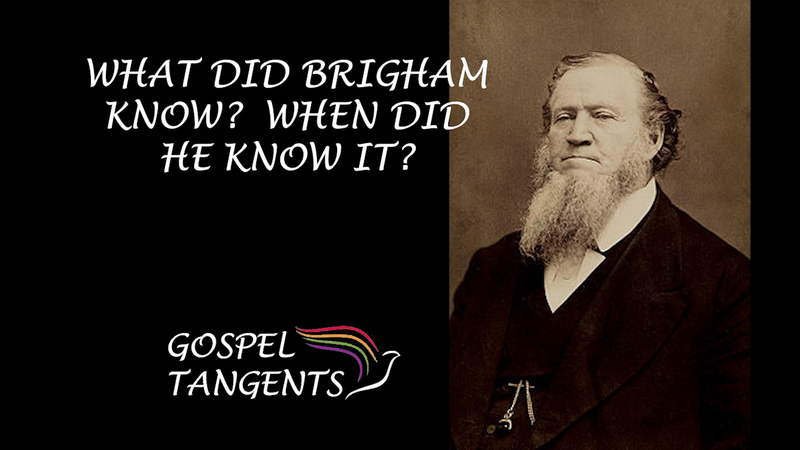 Turley: Well, basically Brigham Young knew that he had received a letter from Isaac Haight. Again, this is a story that you’ll see in our book. He knew he had a letter from Isaac Haight midweek in the massacre, basically saying that the immigrants were under attack at the Mountain Meadows. He sent a letter back saying, “Let them go.” Then he got word that they had been attacked and massacred. So, the natural question he would have on his mind when he gets his first visitor from the south is what happened? What happened here? 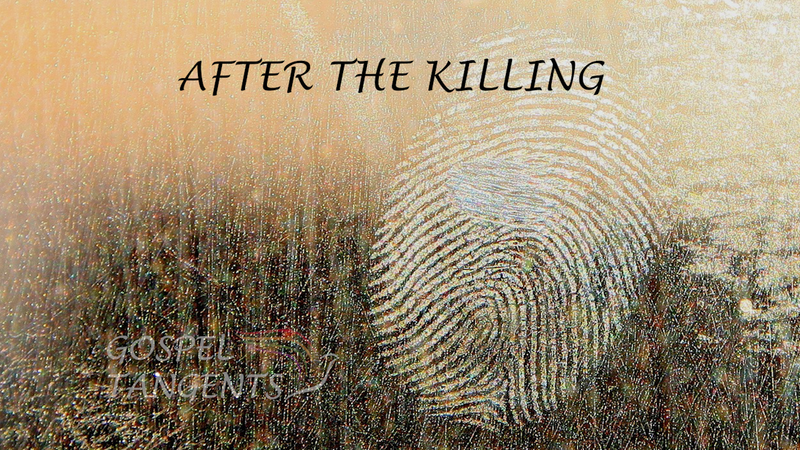 The story that he got, which we detail in the book, is a story of an all-Indian massacre. GT: And that was from John D. Lee, correct? Turley: It was from John D. Lee. That’s right. GT: John blamed it all on the Indians. Turley: It wouldn’t have been that crass, but that’s essentially what he was trying to do. Mericats was the word Indians used for Americans. What did he try to do about it? Turley: By the middle of 1859, he was very convinced that there was disturbing information about members of the church being involved. He was telling them at the time, “Look, if you had something to do with this, you’re not going to be protected. Get yourselves ready to go to trial.” I think he was very much in hopes that trials would occur. People said that he wanted to have those trials in probate courts that were operated by local bishops. Ultimately, he comes to the conclusion that the best way to resolve this is have it be done in the territorial courts, the federal courts, if you want to call them that. Unfortunately, for the reasons that we described in the book, it didn’t happen, and those are political reasons. This is available only to newsletter subscribers, so please sign up for our newsletter to get a secret link. Go to www.gospeltangents.com/newsletter to sign up! Richard Turley describes how Brigham Young learned about the massacre. Don’t miss out other conversations with Richard Turley. When the Fancher-Baker Party did not make it to California, news traveled fast. 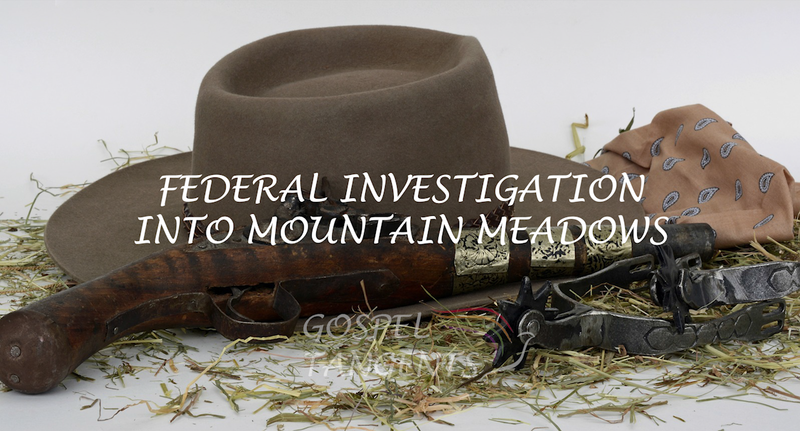 Congress asked federal investigators to find out what happened in Mountain Meadows. Was it an all-Indian attack, or were Mormons involved? Turley: But the word made it quickly to California and then quickly to the eastern United States. So, people knew that their loved ones were killed or missing in late 1857 and early 1858, so it didn’t take long at all. At that point people in Arkansas, whose relatives were killed began to write to their congressional representatives saying, “We need to do something about this.” It wasn’t long before officials in Washington were demanding that something occur as well. So, they were sending orders with their people who were headed west with the Utah expedition telling them that they needed to do something about the massacre. GT: Okay. So, because, if I remember right, didn’t it take about 10 years before they brought anybody up for trial? Or what was the time frame before they actually brought legal action? Turley: So the Utah War ended in 1858, and before it ended, there was not anything done. In 1858, when the federal judges arrived, one of the federal judges, John Cradlebaugh, became responsible for that portion of the territory of Utah that included the South. So in 1859, in March, he convened a court and as part of that court had a grand jury, and he wanted the grand jury at that point to indict those who he felt were responsible for the massacre. Without spilling a lot of the details of what’s going to be in our second volume, I’ll tell you that that was a complicated event. We explained in there exactly what happens during this trial. By the time you get to the middle of 1859, Church leaders are also concerned about what they’re hearing, and so they want to have some type of judicial proceeding as well. But for reasons, again, that we explain in our book, based on evidence no one’s ever seen before, that doesn’t work out. Then we get to the Civil War. After the Civil War, we get judges back in Utah, who are turning their attention to this crime again. So then in 1874, you finally have your first indictments, and then two trials of John D. Lee: one in 1875, and in 1876. News of the massacre traveled fast, but the first trial of John D. Lee happened in 1875, following the 1857 massacre. Don’t forget to see our previous conversations with Richard Turley. The day after approximately 100 immigrants from Arkansas were killed, Mormon leaders in Iron County got together to discuss how to explain the deaths. Barbara Jones Brown tells how leaders dealt with Brigham Young’s message to leave the immigrants alone, and how they decided to blame the Indians for the atrocity. And Dame says, ” I’m not sure I would report it just as that, because Dame knows he’s ordered out the Iron County militiamen to do this. Haight yells at him and says, “If you blame this whole thing on me, I will follow you to hell to make sure you pay for it,” basically. So there’s just this horrible argument going on the day after. So, Lee gets back to Fort Harmony and starts bragging to his congregation about what he’s done. He’s proud of it. So he sends Lee north to report the massacre to Brigham Young. And so the blame game begins. Check out our conversation…. What Happened after the Killing at Mountain Meadows? Don’t miss our other conversations with Barbara!